And how does it work with players hitting the post at the same time? LOL - sad, but LOL still the same. I reckon we should not worry about the ball going through without touching the post or another player. Just make it that if the ball is kicked across the goal line, through the goal posts, then it’s a goal. No need to sort out these faint touches on the goal post or some opposition player’s hand 30 metres down the ground (we know how well the replays sort those out all the time). In soccer if it crosses the line it is goal even if it comes off the crossbar/side post or an opposition player (yes I know they have replays checking it if crossed the line and there can be controversy. You’ll never get perfection). In tennis if the ball hits the net and goes over you win the point (and for some stupid reason you have to apologise for winning the point that way). 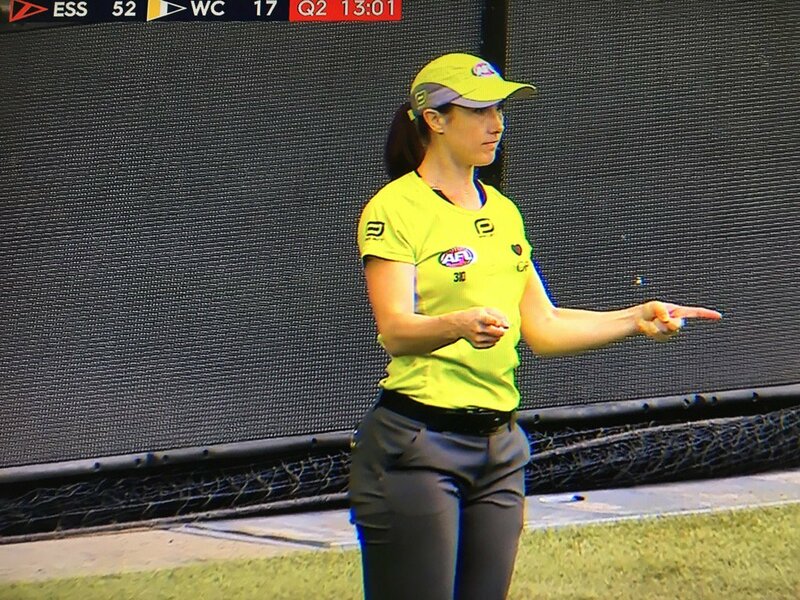 Why is Australian Rules Football so particular about the ball crossing through the goal posts unfettered by post or other? Because the rules are different? Also, you then make another change for if it bounces off the post into play. The only caveat is that we wouldn’t have that glorious footage from grand final 1993 of Silvagni squealing he touched the ball from Longy. The easiest “solution” is to have a trained guy standing on the goal line to make the decision. and stop the TV stations overanalysing the decisions. If we did that for every borderline umpire decision the game would take 4 hours. It certainly would be. But I kind of like it how it is. Maximum points requires maximum accuracy. Maximum points requires maximum accuracy. The whole idea behind the score review system is to stop the absolute clanger decision - like the Cloke kick in the GF that smashed into the post (I think it was Cloke?) - the one that is so obvious that everyone in the stadium saw it but the goal umpire had a brain fade. It was never designed to determine the tiggy touchwood posters, or the touched off the boot incidents etc that it does now. Keep the system, accept you’ll have to use it only once in a blue moon, and move on. There are always going to be small debatable errors made by officials - this is part of all sport. We need to just accept that. The system is quite simple and foolproof. If there is ANY thing like even a poofteenth of a touch was made for one of our kicks on goal, it will be ruled as a point. If the ball bounces off the goal post after an opponent’s kick, it will be up to the maggots’ discretion to see how much they can get away with.